Apple certain delivered plenty in their WWDC Keynote this evening. In case you missed it, here is a very brief run down of all the interesting new bits that they announced. We now have some details (including the new naming system) for Apple’s new operating system for their Mac computers. Moving away from their big cats theme, Apple have decided to start naming their OS versions after places in California. First up: Mavericks. This version of OSX brings a host of new features, plus a few familiar features have made the move over from iOS too: iBooks, Apple Maps, a re-designed Calendar app, new Safari browser, iCloud keychain (which is essentially Apple’s built-in version of 1Password), better support for multiple displays, improved Notifications, and brand new Finder with support for tabs, full screen and file tagging, plus some really interesting under-the-hood advanced technologies designed to greatly improve your battery life such as “Timer Coalescing” and “App Nap”. More detailed information on the changes that OSX Mavericks brings can be found here. Better Photos app which uses photo meta-data to automatically group your photos in to Collections, Moments and Years to help you browse through all your photos. Brand new Safari browser with unified search and address bar, new tab view, and support for the new iCloud Keychain service. iTunes Radio – this was highly anticipated by many people. An ad-supported free music discovery service similar to Pandora. If you subscribe to iTunes Match this will be completely ad-free. Many people have enjoyed pointing out the visual similarities between iOS 7 and Android and Windows Phone 8 UIs. This may be the case, but Apple have worked hard on bringing a fantastic new UI to their user-base that was long overdue. iOS users once again have an operating system that they can enjoy using. Although it is not to everyone’s tastes (I have seen a fair few people complaining on Twitter), I think many will be won over in time. 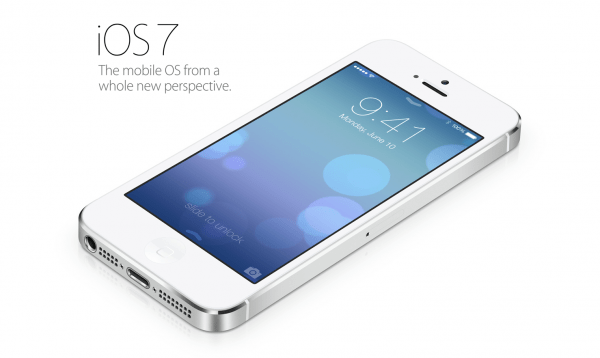 More information on the new iOS 7 can be found here. This isn’t a particularly exciting update. It is essentially just web versions of their Pages, Numbers and Keynotes apps. It all runs in a browser and syncs with iCloud. Simple as that. WiFi, and also have flash storage that is up to 45% faster than in previous models. But the big news regarding the new MacBook Air today was for battery life. 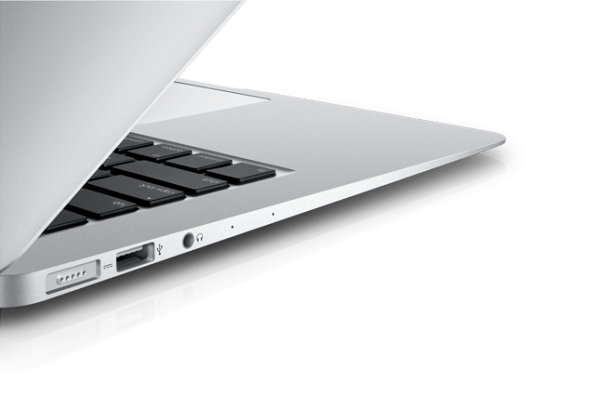 The new 11″ MackBook Air now has up to 9 hours of battery life (an increase from 5 hours previously), and the new 13″ MacBook Air now has up to 12 hours battery life (an increase from 7 hours previously). More information on the updated MacBook Air can be found here. This was the biggest excitement in terms of hardware announcements. Apple gave us a sneak peek at the upcoming completely new Mac Pro. The new design of the Mac Pro is radically different. The cylindrical body houses powerful professional grade hardware that meets every need in terms of graphics, storage, expansion, processing power and memory. Apple have stated that, by rethinking the architecture of the Mac Pro’s internal components, they have been able to rethink the entire enclosure. Everything centers around a unified thermal core, which meant they could build a much leaner, lighter and far more streamlined structure. The computer is also surprisingly small when you consider the powerful punch that it packs: it stands just 9.9 inches tall and has a diameter of 6.6 inches. 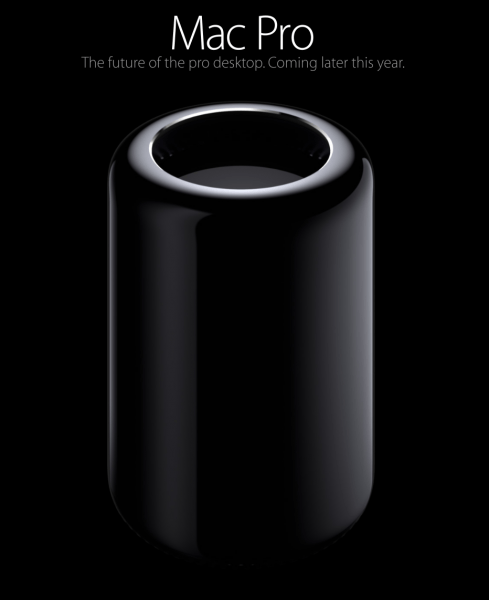 More information, including some great pictures, of the new Mac Pro can be found here. 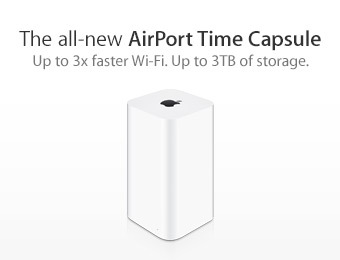 The last new bit of hardware to mention is a new AirPort Extreme and AirPort Time Capsule. This has also been given a new design. The new AirPort Extreme and Time Capsules are of course 802.11ac compatible, and have a taller design that allows the antennas to be positioned higher, giving better signal dispersion. In addition, more antennas have been included – it now contains six antennas in total (three for the 2.4GHz band, and three for the 5GHz band), meaning this should give you WiFi connections that are faster, further and more powerful than previously.